Matt works for Ranger Roofing, a roofing company in Oklahoma. Someone hired his company to complete a bathroom remodeling project. I'm not quite sure how a roofing company got into bath remodeling, but you can be the judge if they should get back up in the hot sun or stay inside! 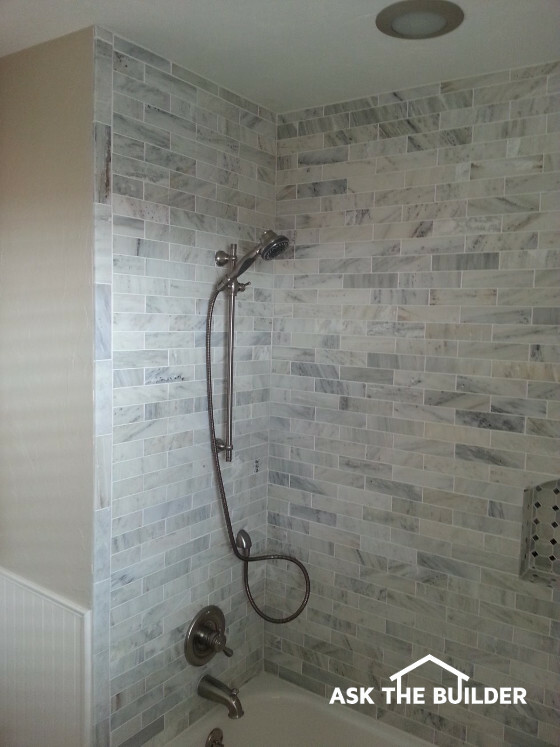 CLICK HERE to get FREE & FAST BIDS from local bathroom remodeling contractors. Below is Matt's story, in his own words. Matt submitted the photos, but he transferred the copyright ownership to me by asking me to publish his story. 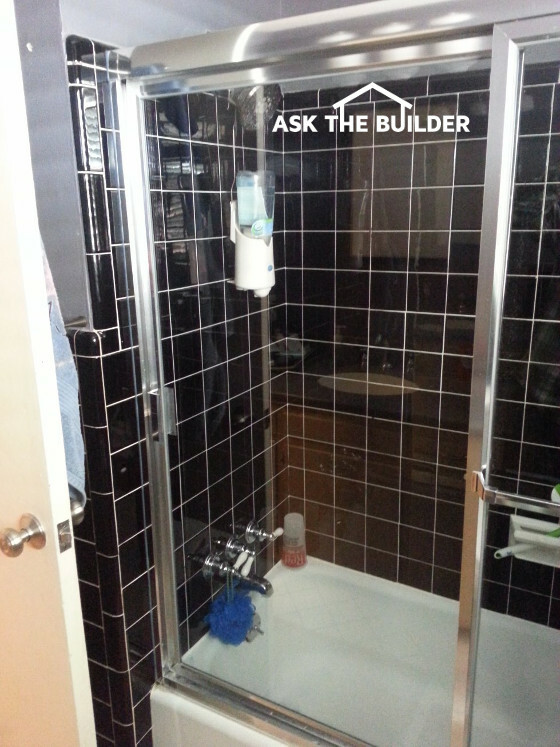 "We were tasked with renovating this bathroom and decided to write a bit about it in case you want to do the same. 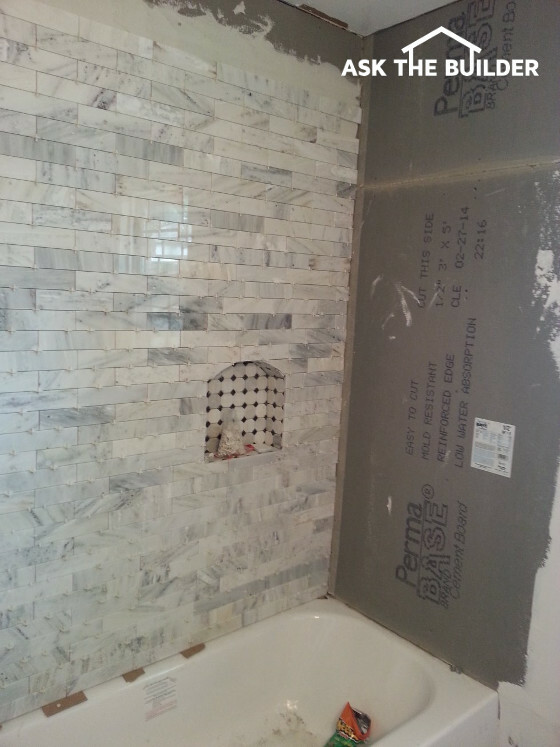 Starting from the bathtub, we placed a waterproof layer beneath, to prevent any leaks. After making sure it was waterproof, we proceeded to put the tub and started securing it and making sure it was in place. Later we waterproofed the edges with silicone to prevent the leakage of water beneath; this could cause mold and the structure of the house to become compromised, which we obviously want to avoid. After we tested everything and made sure it's waterproof we installed the faucet and set up the drainage system. For the shower, we had a bit more trouble, after making sure all of the installations are working we started by leveling the floor. After leveling it we placed a waterproof layer and started layering tiles, we filled the space between the tiles with waterproof silicon made for showers. We left the silicone to dry while we installed the faucet and the shower head, making sure everything is waterproof. A small leak could mean you have to go under the tiles and dig up the whole thing. In these critical steps, it's better to triple check than to have a mistake force you to dig up everything and start over."